A significant majority (76 per cent) of UK students believe that the UK has a collective responsibility to make international students feel welcomed, and only two per cent of UK students believe that international students do not belong in the UK. Almost one in five of all university students (18 per cent) in the UK have come from overseas, with the proportion rising to over a third (37 percent) at post-graduate level. The study "Integration of international students: a UK perspective" published today by the British Council found that UK students who had greater interaction with international students were more likely to have international students as friends, were three times as likely to enjoy sharing experiences with international students, and had a better awareness of international students' motivations for studying in the UK. Professor Rebecca Hughes, British Council Director of Education, said "This month nearly half a million new undergraduates are starting university, and one in ten will be arriving from outside the UK. There's plenty of evidence that shows international students make a tremendous academic, cultural and economic contribution to the UK as a whole, but we wanted to know what UK students themselves think. It's great to see that the UK's young people are welcoming and willing to play a part in integrating our visitors into British life." internationalisation efforts of a university and the UK as a whole. of course the international students who come here." sense of security and belonging, which can translate to academic advancement and personal growth. That feeling of contributing and belonging is what continues to draw so many international students to the UK." "UK students are aware of issues surrounding integration and largely positive about taking responsibility for their part in providing a welcoming environment." Ms Malik said. "Our data indicate that those that have little interaction with international students are less knowledgeable about their experiences and motivations and in some cases creating a neutral sentiment towards international students as a whole. 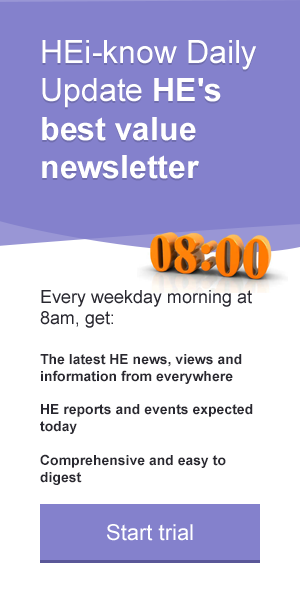 There is leeway, then, for the UK higher education sector to improve relevant communication channels."